Team news for Saturday's League Two clash between Bristol Rovers and Burton Albion at the Memorial Stadium. 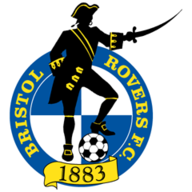 Bristol Rovers look set to be boosted by the return of two first-team regulars for the clash with Burton at the Memorial Stadium. Striker Matt Harrold (knee) has missed the last two matches while Ollie Clarke (ankle) sat out the 1-0 win over Cheltenham, but the pair are likely to be involved against the Brewers on Friday evening. Danny Woodards also made his return to action after a slight hamstring problem in a development team friendly versus Forest Green earlier this week, leaving boss John Ward without just his two cruciate ligament absentees in Ryan Brunt and Fabian Broghammer. Steven Gillespie is pushing for a start having played 65 minutes in the 2-2 friendly draw against the Skrill Premier side. 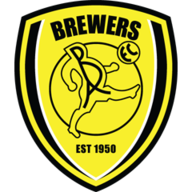 Burton will check on Damien McCrory and Adam McGurk ahead of their trip to Bristol Rovers. Full-back McCrory is nursing a dead leg following the draw at promotion rivals Rochdale in midweek. McGurk missed that game with a knee injury he sustained during the draw with Dagenham the previous weekend and the forward remains a doubt for Friday night's game at the Memorial Stadium. Defender Chris Hussey (hamstring) and striker Michael Symes (knee) are both nearing fitness after injury.